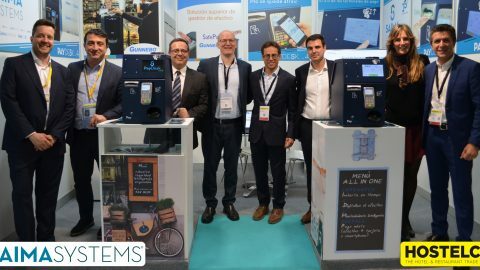 Saima Systems has participated, one more year, in the Hostelco-Alimentaria Fair, an international event of reference in the Hotel trade sector. PRONOVIAS is committed to the technology of Saima Systems and implements the SAIWALL VPN solution for its national and international delegations. NEINVER implements the SAIWALL VPN solution in its international delegations. Dani supermarkets, implements the payment gateway solution SaimaPay in their national outlets. Prieto perfumeries, bets on Saima Systems technology and implements the SaimaPay Payments Gateway solution in all its stores. Juguettos store chain implements the payment gateway solution SaimaPay in their national outlets. DRIM Toy shops, implements the “SaimaPay” payment gateway solution in all its national stores. The food catering chain is committed to Saima Systems technology and implements the SaimaPay payment gateway solution in all its stores. Saima Systems becomes Global Partner of Verizon, the world's leading telecommunications company. Telecoms company Saima Systems was among the attendees at the Infarma Madrid 2016 congress held between 8 and 10 March 2016. Telecoms company Saima Systems has entered into a partnership agreement with Comerzzia, the retail sector’s leading platform. Global telecoms leader Saima Systems constantly optimises processes to streamline checkout line payment handling. SafePay Plus, which combines Gunnebo's systems with Saima Systems' technology, delivers a single solution that covers every possible payment method. Grupo Eulen has implemented Saima Systems' SAIWALL VPN across all its international branches. Aqualogy Group selects SAIWALL VPN to optimise its global IP communications. 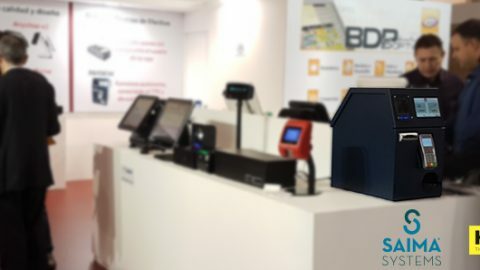 NFC pioneer Saima Systems offers a revolutionary system that handles card, EMV Chip and NFC (contactless) payments at every point of sale across an organisation.